“Fine art” photography has taken a back-seat to family photography lately, but I am still alive. 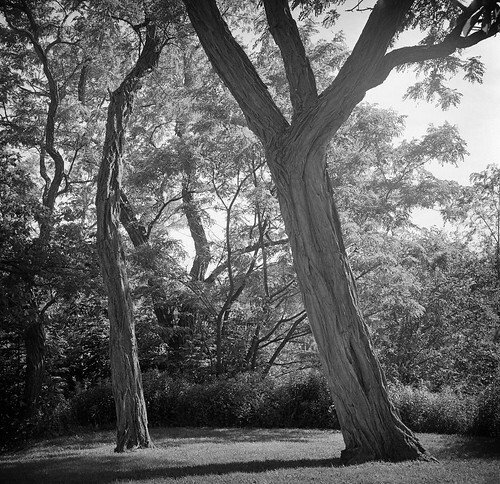 Rolleiflex 3.5E, late-afternoon June light, Kodak Tri-X 400, developed in Rodinal. This combination is too grainy in 35mm for my taste, but it works well in 120. Really nice monochrome image. I love the sharpness and contrast of the photograph. Really good work!